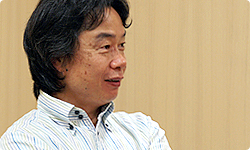 Miyamoto-san, when you first started work on Wii Fit, did you foresee the way in which it would be embraced by so many people around the world? 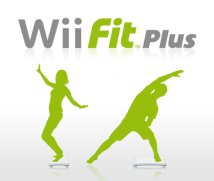 How did the development of Wii Fit Plus come about? Ah yes, you're talking about the Stroop Effect1. 1 The Stroop Effect refers to the phenomenon reported by the psychologist John Stroop in 1935 concerning the way that if you display two types of information at the same time, such as the name of a colour printed in a different colour, these types of information interfere with each other when the brain tries to process them. The idea was that by working on Wii Fit a little more, we might be able to train users' brains as well as their bodies. The Stroop Effect was actually used in Brain Training2 where there was one challenge where the names of the colours didn't match the colour they were written in and the user was instructed to ignore the word and pay attention to the colour. The effect that comes into play at times like that, when you are struggling with two contradictory levels of awareness in order to choose one option, is known as the Stroop Effect. 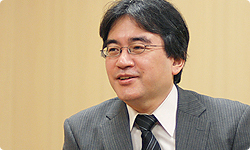 2 Dr Kawashima's Brain Training: How Old Is Your Brain? is a software title released for Nintendo DS in May 2005 in Japan and June 2006 in Europe. Now when you try to do that kind of thing using the body, the example that's easiest to grasp is that of drumming, when the arms and legs are each moving independently. But you did that already in Wii Music3, didn’t you? (laughs) 3 Wii Music was a music-based software title released for Wii in October 2008 in Japan. It was released one month later in Europe. We already did it! (laughs) That's when I thought that by combining information taken in visually along with holding the controller and the body's balance, we could come up with a lot of fun games. So we began at that point to work on a variety of games separately. And what was that reason? You just stated that perhaps you should have made it like that in the first place. There are actually two different scenarios where you would conceivably say that. In the first instance, while you were working on the game, you might think: "Ideally, what I really want to do is make it this way but..."
There were plenty of cases like that. The other instance would be where, once the game has been released, there are elements about which you think: "If only we’d done it like that!" I’d say that out of the two of those cases, there were many more where I felt during development: "I really want to do it this way but…"
So as a game developer, there were those things that you had originally wanted to do but which you weren’t able to. Exactly. For instance, when you go to a fitness club, you'll do a half-hour session or a 40-minute session or whatever. If you do that, the instructor will be alongside you giving you more and more advice which means you’ll get through it almost in spite of yourself. So while you were conscious of time passing for maybe the first ten minutes, before you realise it, you've been exercising for 40 minutes. Video: your own personal training routine. your own personal training routine. In any case, that's where we directed a lot of our efforts. So we're talking about the personalised menu, My Wii Fit Plus. We went back and remade that one about four times. Really? You remade it four times? As game designers, the thing which we spent the most time on was making the interface as accessible as possible so that we'd create a menu for the customisable workout routine that was very simple to use. We wanted to make it so that even those users who find doing things like that irritating can simply press a few buttons to make their selections. And you remade it four times? If you're including changes to the specification documents, we may have remade it more times than that. Each time the team came up with a new version, I would get them to make a presentation at which I would keep saying: "No, that's wrong. That won't work." I imagine the director was pretty nervous, because even when the software was more or less in its final state, I requested that it be reworked once more. Right. But I think I can say that we've come up with a model of an accessible interface. Also, towards the end of the development period, we were fortunate enough to have the cooperation of Dr Miyachi4, though by that stage we had more or less finalised the features and development was proceeding steadily. 4 Dr Miyachi, the Exercise Guideline Project Director of the National Institute of Health and Nutrition in Japan, acted as an adviser during the development of Wii Fit Plus. Dr Miyachi's overarching goal is "to construct the guidelines for physical exercise needed to improve the health of the nation". He conducts his own research, as well as using research gathered from around the world, in order to put together exercise guidelines for Japanese people.The National Institute of Health and Nutrition was established by Japan's Ministry of Home Affairs in 1920. It was an official body charged with improving standards of public health by conducting research and carrying out surveys concerning the health of the Japanese population, their diet and general levels of nutrition. Well, unless the training exercises had been finalised to a certain extent, it wouldn’t be possible to do calculations in the metabolic chamber5. 5 Resembling an airtight hotel room, a metabolic chamber is a ground-breaking piece of apparatus which allows long-term measurements to be taken of the amount of energy used by people in an environment close to everyday life. It is also known as a Human Calorie Meter. The METs values of the exercises in Wii Fit were calculated using the metabolic chamber under the supervision of Dr Miyachi. Yes, which is why it turned out to be really fortunate timing. We had in fact done a lot of research into METs6 at the time of the original Wii Fit. 6 METs (Metabolic equivalents) are a unit that puts a numerical value on the level of physical exertion we feel when doing exercise. We can't use figures if the measurements aren't based on solid evidence. Right. That's why in the original Wii Fit, we had FitCash which was a system where you gave your own rough estimate of how much exercise you had done. We left it so that it was always just an estimate that would act as a guide which could be saved in your records. But once we realised that we could include the scientific basis needed to calculate METs figures, we were able to enhance that feature in the second half of the development process. Thanks to the assistance of Dr Miyachi, you were also able to include the Wii Fit Plus Routines which advise users what sort of training to do in order to prevent conditions like stiff shoulders and back pain. That's actually something that I had wanted to do in the original Wii Fit, but again we lacked the scientific basis to do it. So we discussed things like workouts to build upper arm strength with Matsui-san7 and his team of trainers who were advising us, and had to some degree come up with a framework for that idea. Encountering Dr Miyachi at just the right time then worked out really well. 7 The pro sports trainer Kaoru Matsui is the director of the Japanese branch of the National Exercise & Sports Trainers Association (NESTA) which oversees personal trainers' qualifications. 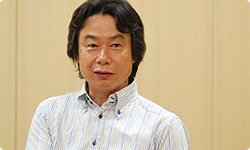 He acted as the training adviser on Wii Fit and Wii Fit Plus. The focus of Dr Miyachi's research really gelled well with what we were doing, which I believe added a great deal of value to the software. That’s why it's called "Plus"! As we'd managed to come up with such a solid core, I personally felt that we should get this on the market quickly with the intention of saying to Wii Fit users: "Use this to get an enhanced version of Wii Fit!" So that's why it's not Wii Fit 2. Right! It's not number two! It's not what you'd call a sequel with a regular game - it's actually an enhanced version of the software.